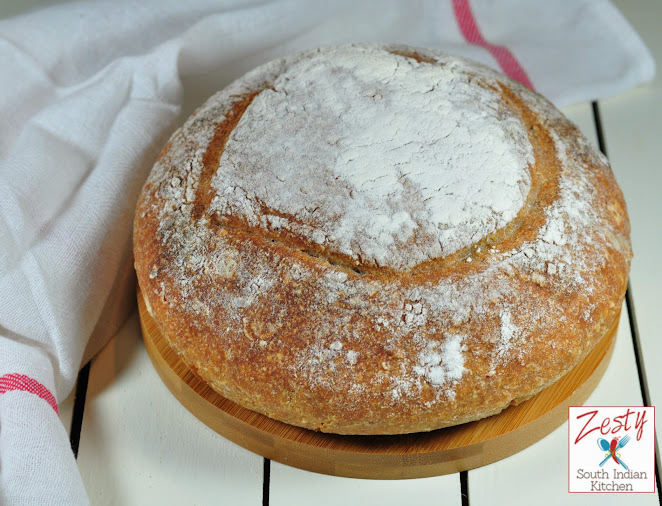 I am in crazy love with sourdough loafs lately. Normally I make them about monthly one now it become twice weak. Because rye bread gets warm in my house next whole wheat, if you want to bring out best flavor out the rye then you need to use sourdough. Yes that is secret. So I made this multigrain spelt and rye bread. Actually recipe from which I adapted used rye flakes as soaker. That is not in my hand, so decide to use bulgur wheat as my soaker. If you don’t know about bulgur wheat is broken wheat made from parboiled wheat berries. Which is different from cracked wheat (daila) as it broken raw wheat berries and has longer cooking time compared bulgur wheat. As temperature is getting warm, my kitchen is also getting warm, so rye starter is so happy to work. I have both 100% rye sourdough starter as well as 50% rye starter with whole wheat and rye. I use my 100% rye starter nowadays more as they are really sturdy when working with rye or spelt flour. Spelt is a grassy grain like wheat, rye, and oats etc. Spelt even though it is ancient grain, has a tougher hull that must be removed. For this reason, it is more expensive and less commonly available. While baking bread gluten is important. Gluten is a complex protein, made from the union of two simpler proteins: Gliaden and glutenin. Each of these has its own properties. Gliaden gives dough extensibility, or its stretchiness. Glutenin lends elasticity, or the tendency to spring back into place, and help dough to hold its shape. Our common wheat has a perfect balance of glutenin and gliaden, hence the reason most breads are made from wheat. 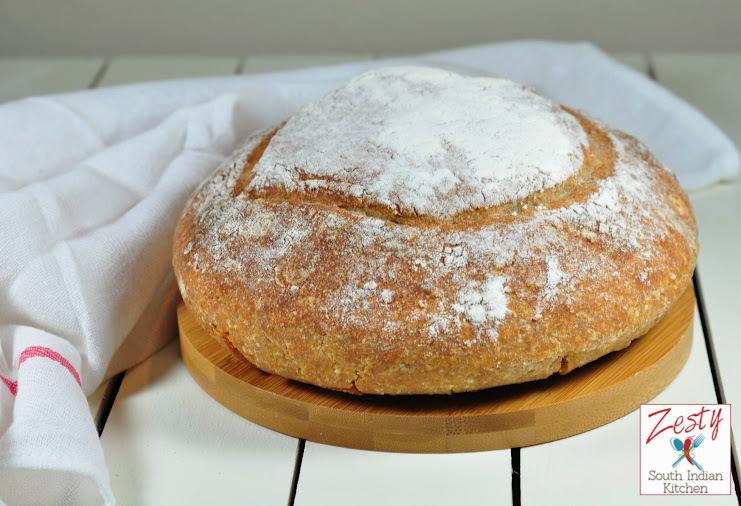 Spelt gluten tends to be more extensible( Giladen )and less elastic than gluten (glutenin) from modern wheat, resulting in the typical, weaker spelt dough. As result you get more flat loaf than a whole wheat loaf. 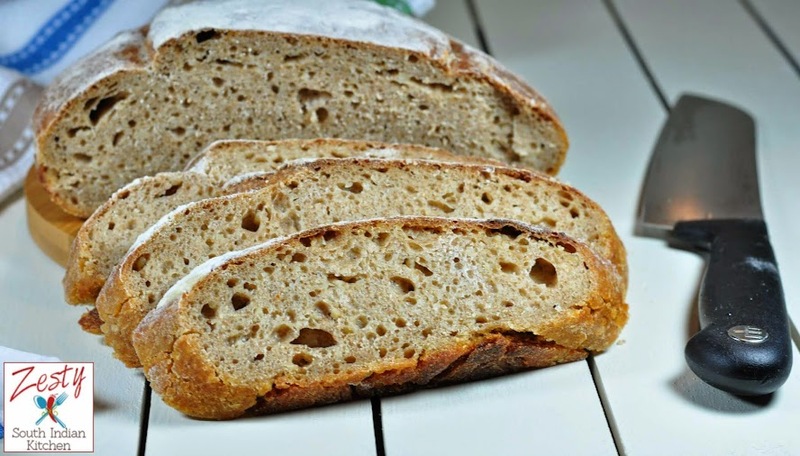 If you using 100% spelt flour make sure give a long slow fermentation that will help to form loaf better shape. Spelt is not advisable to person who has celiac disease or even strong wheat allergy, as it is more or similar characteristics as wheat. If you using spelt flour in your dough make sure to do only first mixing with kitchen aid stand mixer no kneading is necessary as it has weaker gluten. Only stretch and fold in enough, but make sure to give some extra time to sourdough to work. Make sure you have active fed starter in your hand. I usually feed them in the night before going to bed. Next day I will prepare the leavin by mixing rye flour, water and starter. Also make soaker with bulgur wheat and water and set aside in room temperature for about 12 hours. Next morning I made the main dough with leavin and soaker, salt and bread flour. It took about 5 hours to t the bulk fermentation (first rise) and then shape and proofs it for another hour before baking in a preheated oven at 450F with steam. Dough is slightly flatter than other bread loaf. It is really delicious loaf I love the taste. 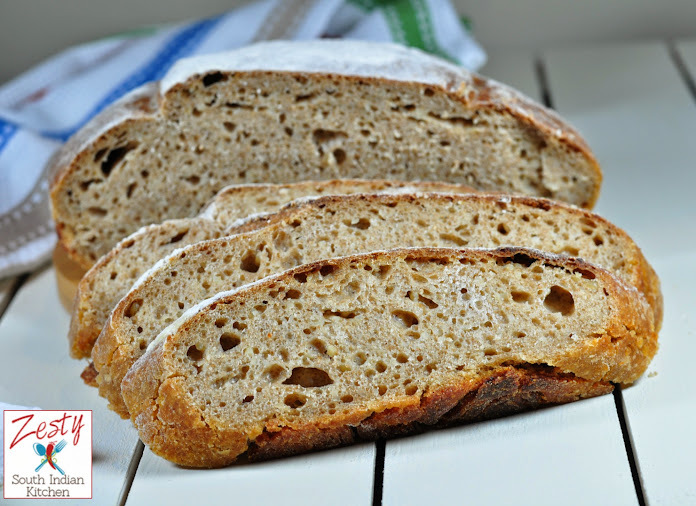 Delicious tangy nutty sourdough bread with spelt and rye flour. Mix and rise at room temp for 12 hours. 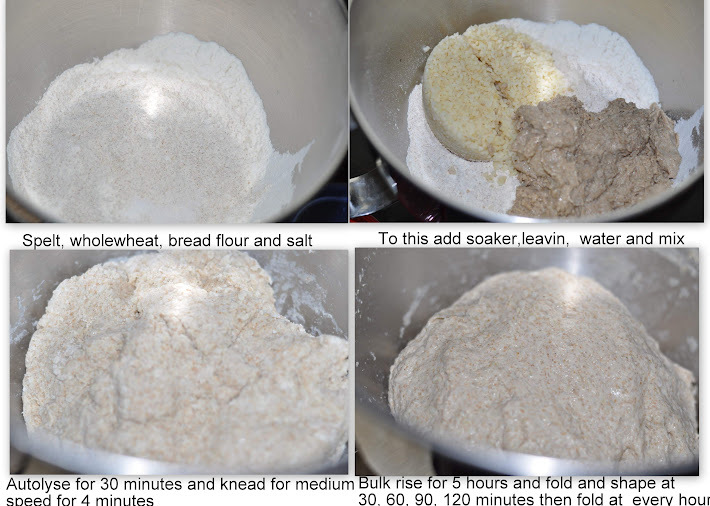 make levain by mixing rye flour, water and rye starter, it will be thick dough. Set aside for 12 hours at room temperature. Make soaker by soaking the bulgur wheat in boiling water and set aside for 12 hours at room temperature. Mix everything together, autolyse for 20 to 30min. Then mix everything at medium speed for 3-4 min until gluten starts to develop. Set aside for bulk rise at room temp (~75F) for about 5hrs. 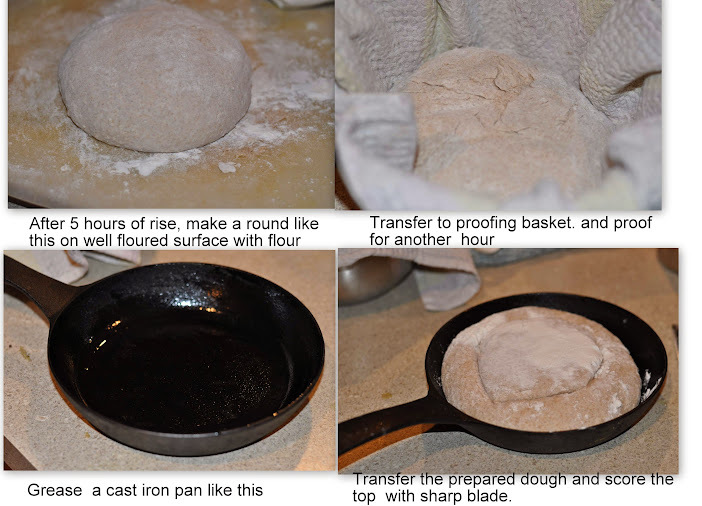 Shape and fold the dough at every at 30, 60, 90, 120min and then at 1 hour interval. Shape, put in baskets smooth side down, proof for about 1 hour at room temperature , when you are half way through proofing, preheat oven to 450F. When you are ready to bake, score the bread. Bake at 450F for 15 min with steam, then reduce temperature to 430F and bake for another 35minutes. Turn off oven and leave loaf inside for 10-20min with the oven door cracked open. Looks fabulous! I can almost smell that freshly baked bread from here! Perfectly baked bread. Looks as the same we get from bakeries. So healthy and yum. Wonderfully baked sourdough bread ,looked so soft and amazing . Bread looks fantastic, you have got the perfect texture..
Beautiful Bread dear..Lovely pic as usual..
Sourdough is my favorite bread! This looks perfect and delicious! You are master at bread baking! Thanks for sharing all your great tips.